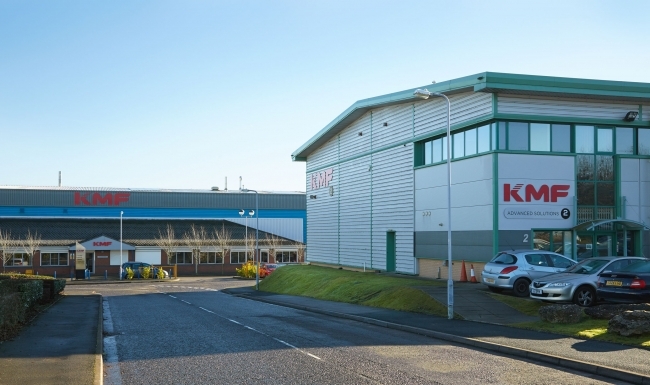 Founded in 1971, KMF had already grown into one of the UK’s largest and most successful sheet metal manufacturing plants when it expanded operations with the acquisition of two additional engineering businesses in recent years. Now helmed under the newly formed KMF Group, the company consists of KMF Precision Sheet Metal and KMF Precision Engineering in Newcastle-under-Lyme, England, as well as the sister company to KMF Precision Sheet Metal in Slovakia. Together, these organisations have combined to deliver fully integrated bespoke metal work and precision sheet metal fabrication solutions from three facilities totalling 110,000 sq. ft. of manufacturing and office space. This includes the design and production of sheet metal parts and other intricate components such as lighting and circuitry for use in everything from commercial coffee and car park machines to kiosks found across England. This commitment was reinforced several years ago when KMF implemented the Epicor enterprise resource planning (ERP) system to manage processes, develop “rich performance reports” across departments, and automate communications both companywide and with customers. Other immediate benefits included the ability to instantaneously track jobs from order through delivery, while alerting KMF to issues that can be readily resolved before becoming problematic. Most recently, the Epicor ERP solution proved integral to uniting the operating systems of all three KMF companies under the Group umbrella. Using the Epicor Data Management Tool (DMT), historical data from three separate databases was imported into Epicor, simplifying the future integration process should KMF decide to merge all three sites into one. Epicor DMT was developed to import, update, and delete application data safely and efficiently. Many companies implementing a new ERP system have vast amounts of information to transfer, and to enter this data manually would be far too time-consuming. Epicor DMT uses a template builder to help understand the customer entity and establish the required fields. The extracted data is then formatted into CSV, Excel® Microsoft®, or similar files for import into the Epicor ERP system.